Fancy a Pilgrimage on the Benefice Trail? Feeling Energetic at Easter? 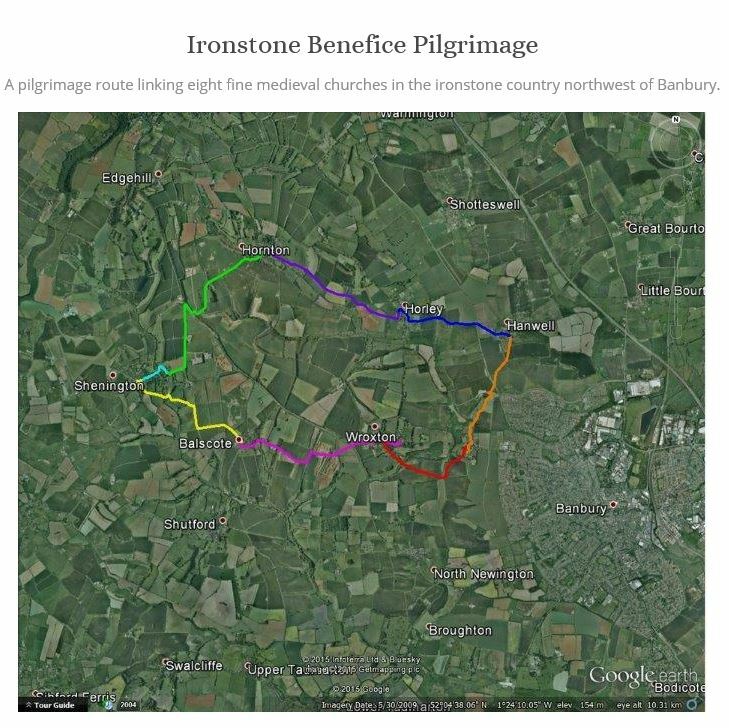 Why not join the pilgrimage of the Ironstone Benefice Trail? Holy Week and Horley? So, for the energetic, you can start on Maundy Thursday (24 March) afternoon by joining the pilgrimage to walk the Benefice trail, which continues on Good Friday (25 March). Milestones are: leave Drayton church 1.45pm, Wroxton 3.00, Balscote 4.15, arrive Shenington 5.30ish and have a Seder Meal at 6.00 (a symbolic meal associated with the Jewish Passover). This is followed by a short Communion service in Shenington Village Hall, after which the tenacious can participate in a vigil into the early hours of Good Friday morning. Part II of the Benefice trail pilgrimage starts from Alkerton church at 9.30am on Good Friday, takes in Hornton at 10.30 and arrives at Horley in time for the midday Stations of the Cross in St Etheldreda’s. As the name suggests, this is a service which charts Jesus’ journey to Calvary, symbolised by progressing round twelve ‘stations’ set out in the church with readings and singing at each. Following this service, there is a ‘frugal lunch’ in the Old School, from which the pilgrimage will complete the circle by continuing to Drayton, arriving 2ish for a devotional service at the Cross. In Saturday newspaper ‘worthwhile walks’ terms, the Benefice trail would be described as ‘easy’ and open to all ages (children definitely welcome at all points), either in its entirety, or in sections, or just stay in Horley and come to the Stations of the Cross/the frugal lunch. For more information about the route click here. For more information about the event contact vicarhugo@gmail.com / 01869 347889. This entry was posted in Activities and tagged Easter, Pilgrimage, The Ironstone Benefice on March 14, 2016 by thehorleyviews.